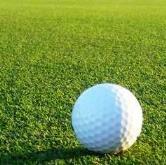 1 1/2" FRINGE TURF Discounts Apply ! Designed with Cool-Maxx Technology, MAXX LAWN WB60 is a top of the line turf ideal for hot climates and extreme weather. This special blade technology diffuses light and heat creating a turf that is 15 degrees cooler than its competition. MAXX LAWN WB60, with a pile height of 1 1/2" and a face weight of 60 oz. is ideal for all pet areas, playgrounds, and landscapes. The cooler surface temperatures are safer to walk on and more comfortable for children and pets to enjoy in any weather.